No matter how big or small the project is, we can develop custom web apps that make it easier to do what you do. We can build standalone systems, or integrate new code with your existing site. All of our custom applications are built using a combination of industrial standard development tools and database ranging from MySQL, MSSQL, PHP, ASP, JAVA and other related technologies. We work within frameworks in order to make easy to maintain code which can be extended in the future. Our main aim when building custom web applications is to create a business solution that save you time and money. We aim to build software which runs quickly and efficiently so that you can spend time on other areas of your business. We love challenges. 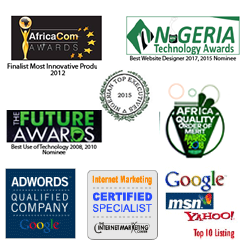 Over the past few years, we’ve built systems for companies all over the Nigeria to help them automate processes, speed up their day to day tasks and create custom software that is very specific to their niche. We’re good at what we do and we enjoy doing it!